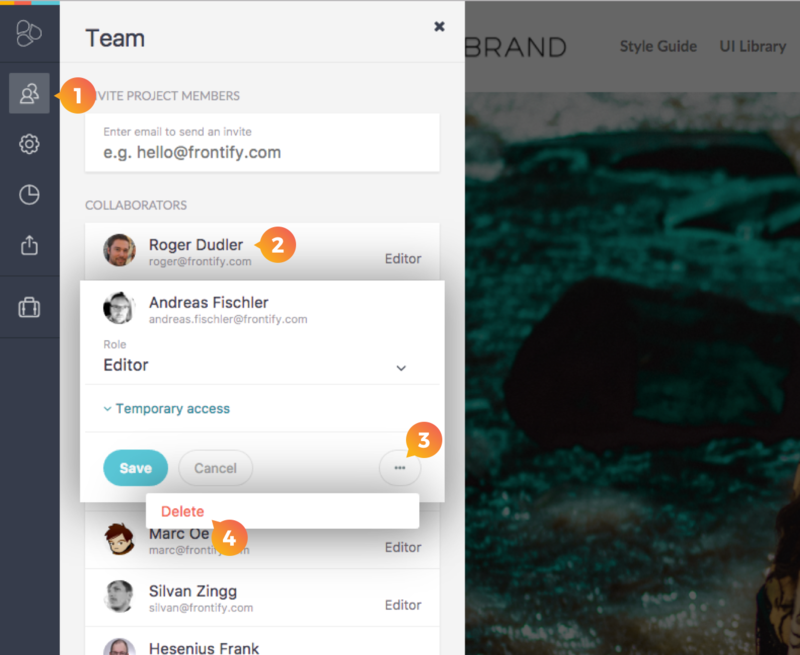 Just as easy as you could invite someone, you can delete the team member from a style guide or project. Open your Style Guide or project. Click on the team icon on the Power Bar. Click on the user that you would like to deleted. Click on delete and confirm it.